One of my favorite spots in San Francisco is the Ferry Building. Even though it's right next to the frantic bustle of the Financial District, there's something lovely and calming about the sprawling building and soaring clock tower. The building is perched on the edge of the water with fantastic views of the Bay Bridge and the soaring high rise buildings in the downtown core. Inside the building, famous local restaurants and vendors have set up shop selling fresh Acme bread, Cowgirl Creamery cheese, and diet smashing Miette baked goods. A few times a week, the Ferry Building is home to a lovely farmer's market filled with farm fresh produce and really neat prepared foods. This month's Blogger CLUE theme was spring vegetables and I did a crazy awkward fist pump when I saw the Ferry Building Farmer's Market was in session. I rushed over with zero idea of what I was going to make but I knew the farmer's market would be the perfect place for inspiration. I came back with tons of fresh produce, a bottle of kombucha that promised health, laughter, and no more grey hairs, and oh, possibly a macaron or two. I then went to my blog buddy Stacy's site to see which one of her delicious veggie dishes I wanted to make. Stacy writes the blog Food Lust People Love and she and her family have lived all over the world because both her father and husband worked in the oil industry where international relocation is common. It was really interesting to read about how she's adapted to different places where ingredients aren't consistently available. As soon as I happened on her broccoli soup, I knew I'd found my recipe. It sounds a bit like a contradiction to search for a springy recipe using spring vegetables and decide on a soup but we're in the midst of a brief, cold and rainy spell in San Francisco (laugh it up you East Coasters) and soup sounded perfect. Like so many of our quick weeknight meals, this one doesn't really involve a recipe but rather a couple of techniques. Sauté, cook, blend, voila! You have a quick and healthy meal that's perfect for winter and spring. I veered a bit from Stacy's original recipe to make it a broccoli cheddar soup because the babies love their cheese and are more likely to try things if they see a few shreds if cheddar. To summarize, make this soup. It's warm and delicious. And even the babies will eat it (sometimes, between 6:32 and 6:36, only on nights with a full moon). Melt butter and oil in hot pan. Add onion and cook until translucent. Add garlic and cook, making sure garlic does not burn. Add flour and cook until forms a thick paste. Add chicken stock and bring to a boil. Add vegetables and cook on medium heat until vegetables are tender. Add milk and remove soup from heat. Blend soup with a hand blender to desired consistency. Add cheese and mix well. Serve hot, topped with additional cheese, and with a giant hunk of Acme bread from the SF Ferry Building (or really, any bread). This looks delicious! What a great choice! I am a complete soup lover so soup is fair game year round at our house, Azmina! I'm going to revisit this and add some cheddar! I'm all for eating soup all year round and need to get more creative. This broccoli soup would be loved by my whole family. Great choice, Azmina!! Looks and sounds delicious, and you can never have too much soup. 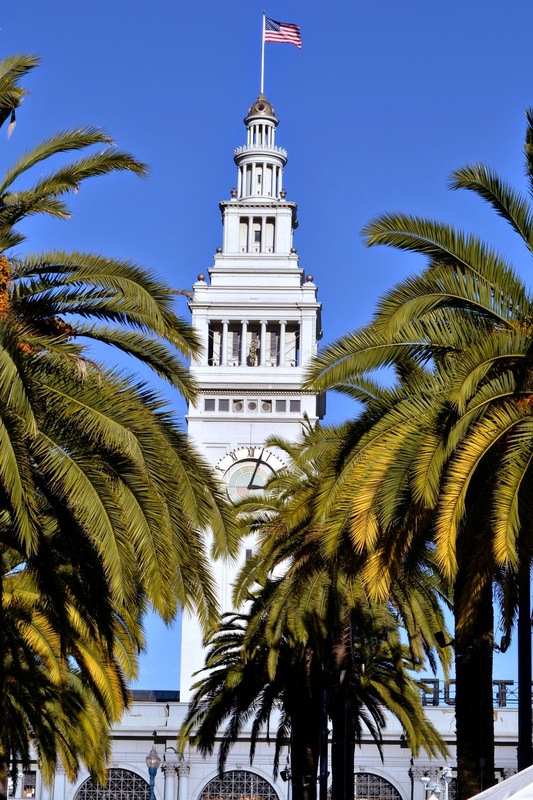 I also love the Ferry Building...it was my favorite stop when we were in the West coast (that and Ghirardelli)...I think I could've walked around there for hours if not for my little guy. ; ) Had a great porchetta sandwich outside from a food truck, too. Ah....this is making me hungry! Broccoli Cheddar Soup... one of my all time favorites!! But as my family can't do dairy, I simply haven't thought of it in years. I usually don't miss cheese, buy you have me sorely tempted to run out (perhaps a trip to the Ferry Building is in order!! I grew up in San Rafael and it's one of my favorite places...) and pick up cheese to make this recipe just for me!! What weird weather we're having, right? I quickly put soup on our menu, too, to warm up after rain the other night and the windy day yesterday. It would have been better if I'd made broccoli cheddar, though. One of my favorites...and you have me needing to visit the Ferry building again. It's been too long! Oh my - It has been way too long since I have been to the Ferry building - LOVE IT! My hubby would love this soup - unfortunately broccoli is the one veggie that is not my favorite. Perhaps I can substitute with cauliflower. Hope you are doing well! Broccoli cheddar soup is one of my favorites. What could be wrong with broccoli and cheese in a recipe!? Pinned. I can't wait to head over to our local farmers markets. 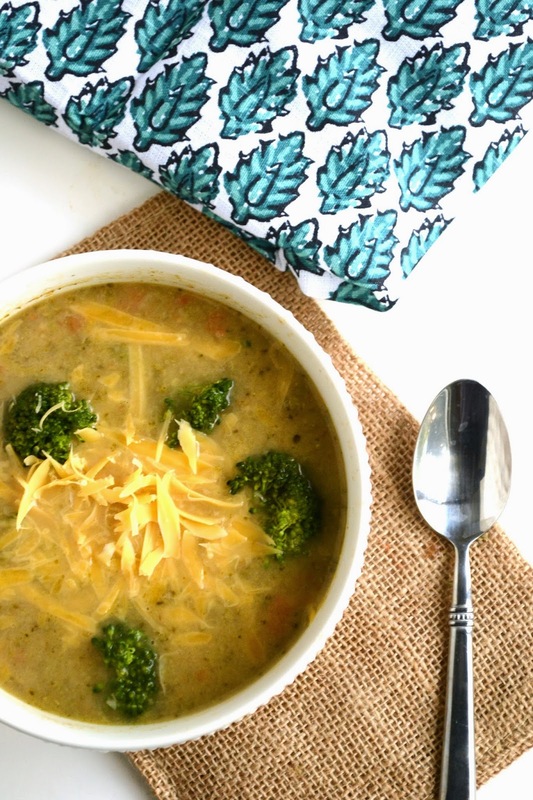 :) Broccoli and cheese soup is one that my kids and hubby will all eat (no full moon required). LOL! Great choice for this month!! Hey, I'm not laughing about your rain...I know how badly the west coast needs it so I'm all kinds of happy for you. Our farmers' market is finally beginning to showcase food instead of just plants and I'm so happy about that. Anyhow...the soup, oh my, the soup. I love broccoli and cheddar together and will be more than happy to eat the babies' share if it's not a full moon. Compared to most of the US States I feel like I am in summer weather already - we've had a few days at 100 and most have been high 88's and 90+ degrees.....it's the time of year that I struggle with seasonal disorder. We are headed up your way at the end of the month for a day and will make a stop at Ferry Building - so lovely and how lucky you are to have access year round. First time visit on your blog really that was superb information about family lawyers and lot of information. Thanks. 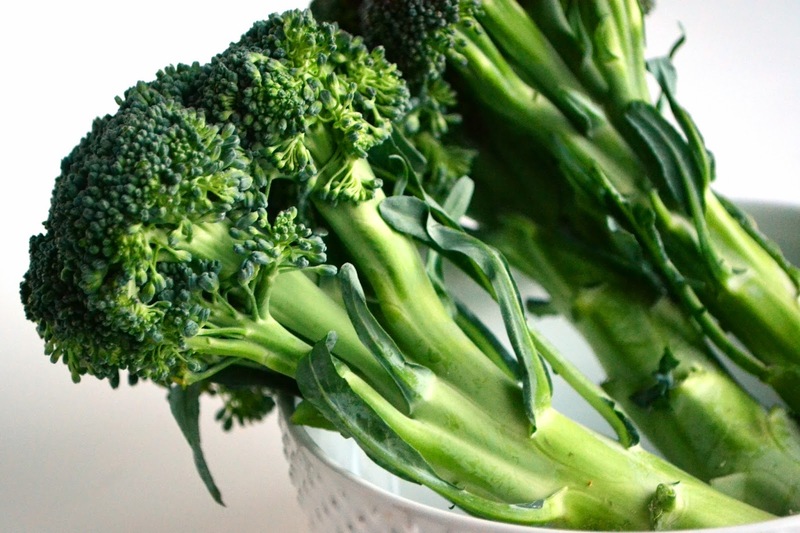 Absolutely love Broccoli! It's such a power food that makes your brain go overdrive. But added Cheddar into a Soup!? Perfect for cold winters!! !